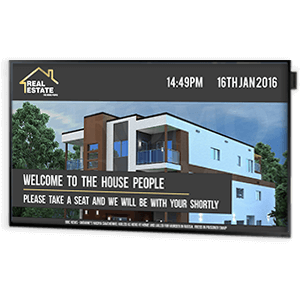 With a constantly changing inventory, Digital Signage allows estate agents to easily update and display their real estate in an attention grabbing and engaging way. Paired with some eye-catching photography and high-bright window displays, the solution is hard to miss. Keep your properties in the limelight, even in direct sunlight. High-bright, high-contrast displays are needed for windows signage solutions, which is a proven way to draw in more visitors to your business. 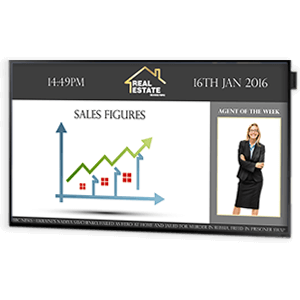 Interactive displays are perfect for showcasing your current inventory. 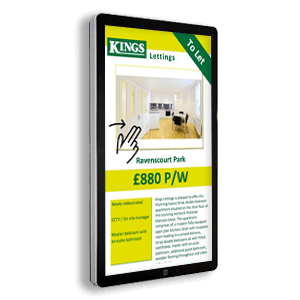 We will only ever recommend commercial grade all in one Touch Screens or Tablets for optimum performance and reliability. Let your customers browse at their own pace. Cut through the vast amounts of messaging with information that won’t end up in their junk folders using Internal Communication Displays. Promote, motive and set targets giving viewers that extra boost throughout the day. Display live data feeds such as the news feeds, social and current company information to keep the workforce ‘in the know’. Interested? 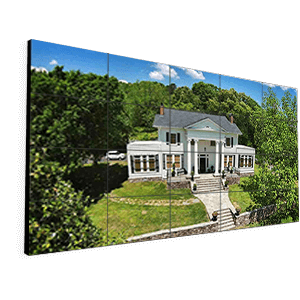 Make an unforgettable impact with our commercial grade video wall solution. Potentially an huge number of commercial grade displays or tiles can be combined to create you the ultimate video wall. 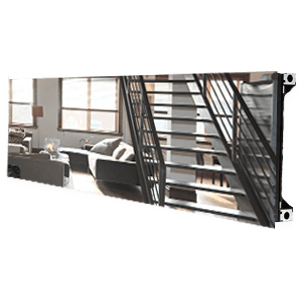 Highlight your premium properties in their full glory. Interested? 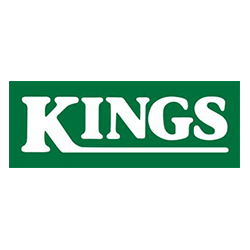 For the ultimate unmissable window display, Indoor LED offers a truly seamless bezel free, wide viewing angle and superb image quality display at any size. 3 Year Zero Pixel Failure Warrenty included. Interested? 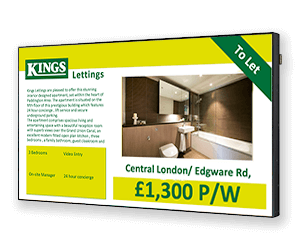 Motivational messaging, meeting timetables, sales achievements as well as a selection of your latest properties are only a few of the multiple applications for reception displays. Easily update the information you choose to display using the simple but powerful online builder. Interested?